Formula 5000 was a Formula of motor racing developed in the late 1960s. 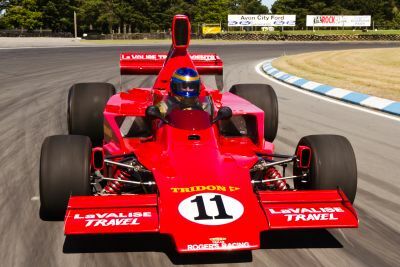 In the period, which was highlighted during the 1970s with racing in Australia, New Zealand, North America and Europe the grids were made up of about 20 or so cars. Manufacturers included Elfin, Lola, Begg, McRae, Matich, Chevron, McLaren, March, Surtess and Gurney-Eagle to name a few. The cars are raw racing cars, very simplistic, but very fragile. In period many 5000s were unreliable as the power from the 5-litre engines on such a fragile chassis left to a lot of brake-downs. 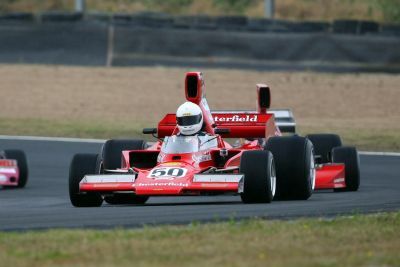 Wind back during the past ten or so years in historic racing we have seen the popularity, and reliably of Formula 5000 cars get stronger. Grid numbers have now increased on a local stage, much of which can be attributed to large attendances by New Zealanders. We are now regularly witnessing Formula 5000 races of 35-40 cars. A time progresses more and more of the known 60-odd 5000s in Australian garages are hitting the track. At present, however, we have about 7-12 active Formula 5000 competitors. The signs ahead are very positive with at least another 5-6 almost at race ready trim. 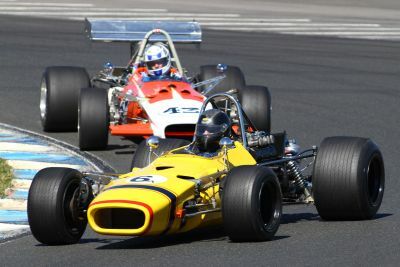 Event promotors are looking after the spectators by investing much time and sponsorship into obtaining fields of Formula 5000s for key historic motor racing events in Australia and New Zealand. In Australia enthusiastic spectators will see these cars at the longer, faster tracks at the major events of Phillip Island Classic, Historic Sandown and the biennial Tasman Revival at Eastern Creek. In New Zealand there’s the Southern Festival of Speed and the NZ Festival of Motor Sport.